Unfortunately, we try to walk a middle line on the included tools — inexpensive to keep costs down, decent enough quality to at least assemble the machine — if they last for more than that, great, if not, our apologies. 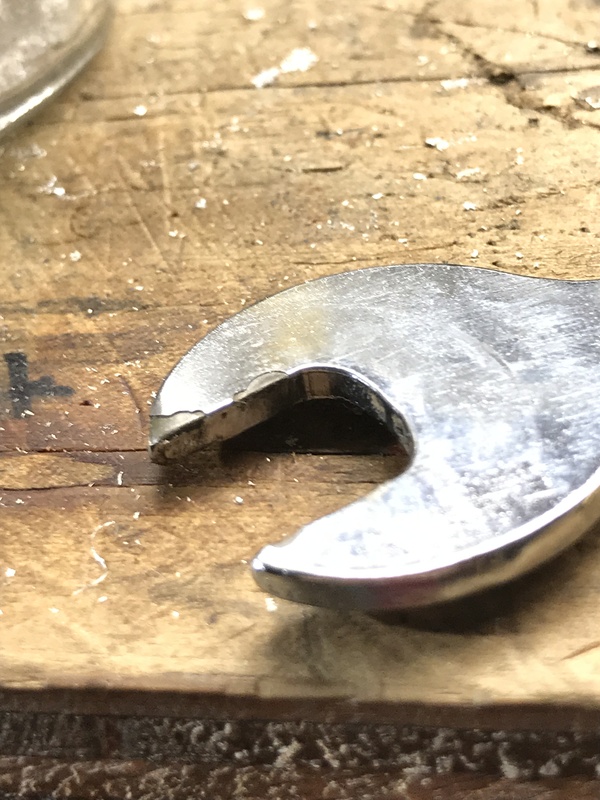 For the Nomad, there was a period where we were out of wrenches and scrambling to get any we could from anywhere — I suspect yours is one of those. Drop us a line at support@carbide3d.com and we’ll see what we can do. I’ve never liked plated tools, and am inclined to drop them into my overflow toolbox which I use for loaners. The collet wrenches I got with my Nomad, this month, are solid, black oxidized and seem just fine. Maybe write management as Will suggests for a replacement. I actually use a thin 12 point box wrench for the collet most of the time. 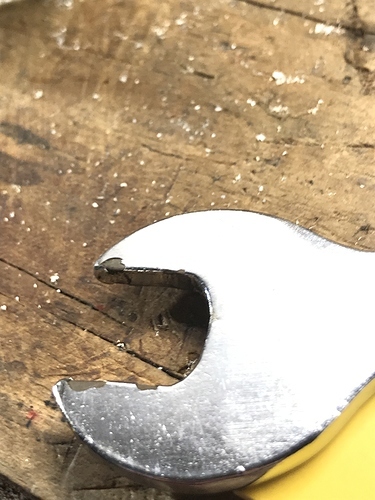 I was provided with an actual ER11-marked, stamped steel wrench (black coated, but the coating/paint didn’t hold up great), but the collet nut is just a 17mm hex, so I went to the box end. For the spindle hold, the provided 12mm has been fine for a number of years, but any 12mm open end will do the job fine. A few chips are unattractive, but the spindle and collet nut are fairly hard steel, so won’t get marred up easily.